Adam Emmerich practises in Wachtell Lipton’s corporate department, focusing primarily on mergers and acquisitions, particularly in the REIT and publicly traded real estate areas, as well as on corporate governance and securities law matters. 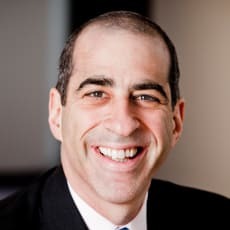 His practice has included a broad and varied representation of public and private corporations and other entities in a variety of industries throughout the United States and globally, in connection with mergers and acquisitions, divestitures, spin-offs, joint ventures and financing transactions. He also has extensive experience in takeover defence. 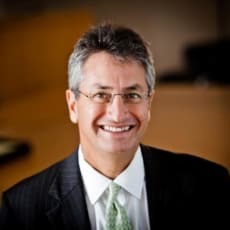 Mr Emmerich is recognised as one of the 500 leading lawyers in America by Lawdragon, as one of the world’s leading M&A lawyers in Chambers, as an expert in each of M&A, corporate governance and M&A in the real estate field by Who’s Who Legal, and as an expert both in M&A and in corporate governance by Euromoney Institutional Investor’s Expert Guides. Robin Panovka co-heads Wachtell Lipton’s real estate and REIT M&A groups. He focuses on M&A and strategic transactions across the real estate, REIT, hospitality, gaming and private equity sectors, and also advises on general cross-border M&A and large-scale projects including the redevelopment of the World Trade Center in Manhattan. Mr Panovka has been named one of the Lawdragon 500 Leading Lawyers in the United States, and is consistently ranked as one of the leading REIT and real estate M&A lawyers by Chambers, The Legal 500, Who’s Who Legal and similar publications. He was recently described in Chambers as ‘the dean of US REIT M&A’. He is the co-author of ‘REITs: Mergers and Acquisitions’, a leading treatise published by Law Journal Press, co-chair of the NYU REIT Center, and has served as an adjunct professor at Columbia Business School.